A breathtaking and cinematic adventure, electronic artist Jai Wolf’s new Kindred Spirits EP will take you somewhere. Where, exactly, depends on you. Sajeeb Saha, the New York-based producer who is Jai Wolf, works from his own memory and emotions to create songs he hopes every listener will connect with through the emotions they elicit in each one of us. 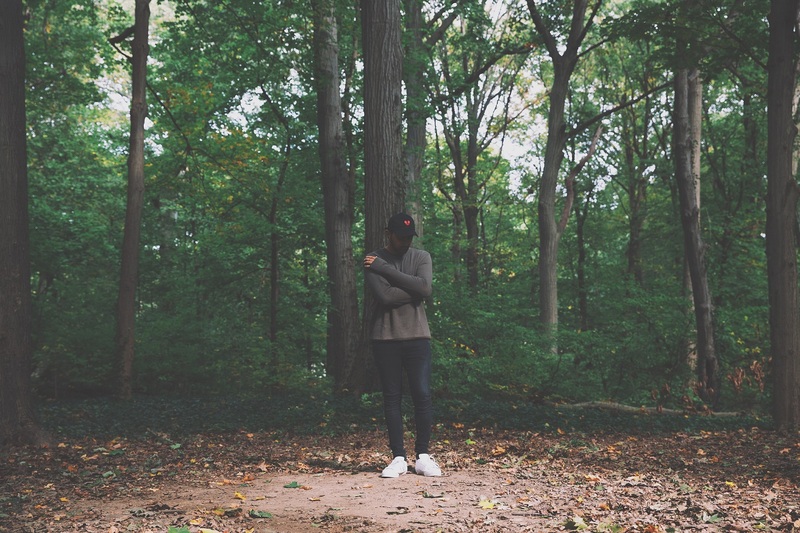 Throughout the EP (released 11/18/2016 via Mom+Pop), we’re taken on a journey through Saha’s mind – one that intertwines with our own when we feel the emotions and memories flooding back to us as we listen. “Every song should remind you of a past memory – a person or a place – or just take you somewhere else than you currently are,” Jai Wolf explains. The effort put behind this idea is clear, with each song possessing a distinct vibe – a specific setting for our minds to latch onto in its introspection – and therein lies their power to make us feel. Now on his Kindred Spirits Tour, Saha has created a birthplace for kindred spirits and a haven for everyone looking to escape. Atwood Magazine caught up with Jai Wolf halfway through his tour and just after the EP release to talk about the record, the tour itself, and the inspiration that drives him forward. Atwood Magazine: Hey Sajeeb! How’s the tour going so far? Jai Wolf: It’s been going really well, this is like the third week and we’re finally in California. How did you first become interested in producing and making music? Jai Wolf: Well, I used to play violin when I was a kid – I was five, and then in high school I picked up guitar. Around that time I was sort of getting bored with orchestra because you’re playing and performing other people’s music that was written, like, 200 years ago, so I wanted to write my own music. In high school I just got some really rudimentary recording software and was just making random demos on my computer, and that was 8 years ago in 2008. Very cool! So, your Kindred Spirits EP just dropped – what was the overall inspiration behind that record? Jai Wolf: Basically, you know, kindred spirits is two people coming together because of a shared interest. I’ve been thinking a lot about how a lot of these people are coming out to my shows and they’re all strangers, but they’re gathered for the same reason, and that’s music. So, I wanted to sort of explore the idea of human connections and different types of human connections through music. So, each song on the EP sort of delves into that and explores, like, human to human connections, connections to places, memories, and sort of abstract connections, too, that go beyond just the connection between two people. I wanted to explore the idea of human connections and different types of human connections through music. I feel like the whole EP just feels very honest and raw in a way, but also really intentional, like every track has a place and a reason to be there. Jai Wolf: Thank you! Yeah, that’s exactly how I describe it, too, and I also made sure that the tracks had intention and it wasn’t just music slapped together or anything like that. And I also wanted to make sure each track sort of sounded different from one another and conveyed a different feeling. How did you go about creating the songs in a way that conveyed that purpose? 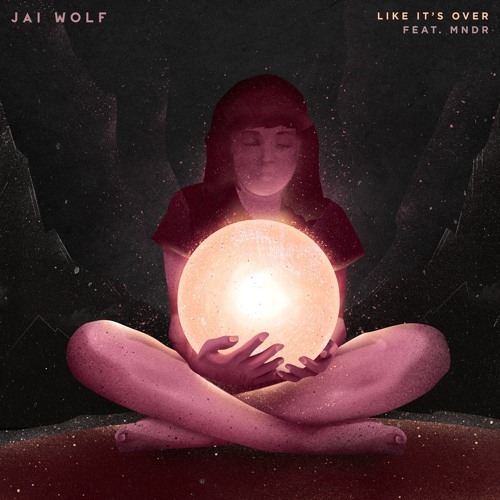 Jai Wolf: I think my sort of music that I write is very riff-oriented – a lot of the emotions that you feel I think come from the melody writing. I would say that it’s not the most technical sounding music, like on the other end of the spectrum you have music like EDM, which is really cool but also a really technical type of genre. But I sort of put an emphasis on writing specific melodies in a way that sound really raw, or emotional, or vulnerable, and every single song sort of has its own riff that occurs in the song, and I think that’s where the feeling comes from. The EP has a really cinematic, almost an 80’s type sound. Did that just happen or is that something that you’re drawn to? Jai Wolf: I would say that’s definitely something I’m drawn to, I love movie scores and I love movies, so I like the idea of music being very grand and cinematic, so I try to implement those concepts when I’m writing music as well. What are some of your favorite movies or movies you think might’ve influenced your writing? Jai Wolf: I really like this movie “Drive”… just something about it has this very dreamlike, cinematic feel to it – it’s actually my favorite movie. I also like movies like “Eternal Sunshine of the Spotless Mind.” It’s very ethereal and dreamlike, and makes you kind of question the reality of what’s happening in the movie. So, I like stuff like that and that definitely sort of influences the way I approach writing music, especially this EP. What kinds of emotions were you hoping to draw out of listeners with your EP? Jai Wolf: I would say the number one thing would just be nostalgia. Every song should remind you of a past memory – a person or a place – or just take you somewhere else than you currently are. I feel like each one of the songs sort of conveys a different feeling of nostalgia – I think the whole EP definitely pulls on that, but, you know, “Indian Summer” is a very happy, adventurous sounding song, but then something like “Like it’s Over” is very sad. And then you have “Drive,” which is more of a reflective song, you know? So I think that each one of those should take you back in your mind to a specific memory or a place, or remind you of someone, and that’s sort of what I was going for with the entire EP. Is there a particular track you’re especially proud of, or you feel a specific connection to? Jai Wolf: It’s so hard, it’s like picking your favorite child! But I really like “Drive,” because it’s the type of music that I’ve always wanted to write, and I thought it was sort of a necessary follow up to “Indian Summer,” and also a great lead-in to the sound on the EP. Everything about it is just, “this is very me,” you know? Obviously the whole EP is very me, but I like that song especially… “Gravity” is one of my favorites as well! That one’s a very emotional song. Were you reaching back into your own memory when you were writing these songs, or were you just working off of a more general feeling? Jai Wolf: Kind of a mix of both. It was definitely inspired by a lot of things I was feeling, but any of the collaborations with other singers, they definitely put in their own touches as well. “Drive” was written by Kam from Chain Gang [of 1974], so I gave him a description of what I was feeling for the instrumental and the beat, and he put in his own lyrics on top of it, riffing off the idea that I had. And that in a sense makes it a really cool and true collaboration because it’s two different viewpoints sort of melding into one song, which is super dope. “Gravity” was the same thing, I made the beat and then JMR wrote over it … so it’s not just my personal stuff, it’s whoever I collaborated [with] on the song, it’s theirs as well. But then of course the intro track, “Indian Summer,” “The World Is Ours,” the tracks which are purely me, are definitely built from my own experiences and feelings and memories, for sure. You’re headlining your own tour now supporting Kindred Spirits, so how is the experience of headlining an entire tour different from supporting other artists and playing festivals? Jai Wolf: It’s pretty cool because the entire tour is focused on the EP and what I’m doing, so we’re able to showcase a lot more. When you’re playing a festival you’re kind of stuck between other artists, you might not be able to bring your own stage production, and you’re a little limited on what you’re trying to express. But with a headline tour, you have a lot of flexibility in implementing all these elements that you want to. And when you’re opening, there’s kind of a ceiling for that as well, you know? Yeah, so your stage setup is totally different than anything I think I’ve ever seen. How did you begin to imagine that and what was the process like to bring something like that to life? Jai Wolf: A lot of the artwork influenced the stage design, so the cover art is two people in this little orb, and a lot of the single artwork sort of riffs off these orb images … so we wanted to bring that to life and we reached out to this production company in New Orleans called Raven. We sort of explained to them, like, what if I’m inside a circle or something, like a circle LED screen, and they sent back 10 or so sketches and we picked the craziest one because I was like, “this might look really cool on stage.” They made it so quickly and so elegantly, I was kind of surprised that we were able to take one of the sketches and bring it to life. And it looks super cool on tour, too, when we finally got to use it was really dope to see it in action and seeing all the videos and stuff. You seem pretty involved with young, like-minded producers like Manila Killa, Chet Porter, Ekali, all those guys. How did you end up making those friends you have in the industry now? Jai Wolf: Pretty much anyone who makes music, if you’re starting off someone or live in a random town you make friends with other producers just through Twitter, Facebook, things like that. Me and Manila Killa just happened to be in the same Facebook group like five years ago in 2011, and everyone else is just through Twitter, or friends of friends. Just over the last five years the network gets bigger and bigger, and you meet all these people, and when you start touring you start meeting them in person and just start building friendships through there. That’s pretty much how all the up and coming kids who are producing, that’s just sort of how it works out no matter where you are, pretty much meeting people through the internet. The internet has definitely turned the industry on its head in more ways than one, so do you think that’s influenced your career’s trajectory? Jai Wolf: I think so, I think that it’s really important to make friends in this industry. If you’re not surrounded by like-minded producers, it’s definitely harder to come up on your own, especially if you’re from a random town or something. I think that me being from New York and meeting all these other people definitely helped widen my network … and it’s important to have a crew when you come up, because everyone supports each other. So, what can we expect from you now that you’ve put out this EP and been on this headlining tour? Jai Wolf: I’m really excited to probably start writing an album after, because that’s always been the goal, to have a fully formed, long-type project. The electronic world is interesting because it’s a very single-based or EP-based sphere. You could put out two singles a year and make a career off that, or an EP a year and riff off of that, but I definitely want to make a longer project so I think the next thing will just be working on finding the sound for the album for the next few months. Do you think it’ll have a similar type of theme or what do you think your process is going to be in terms of an album? 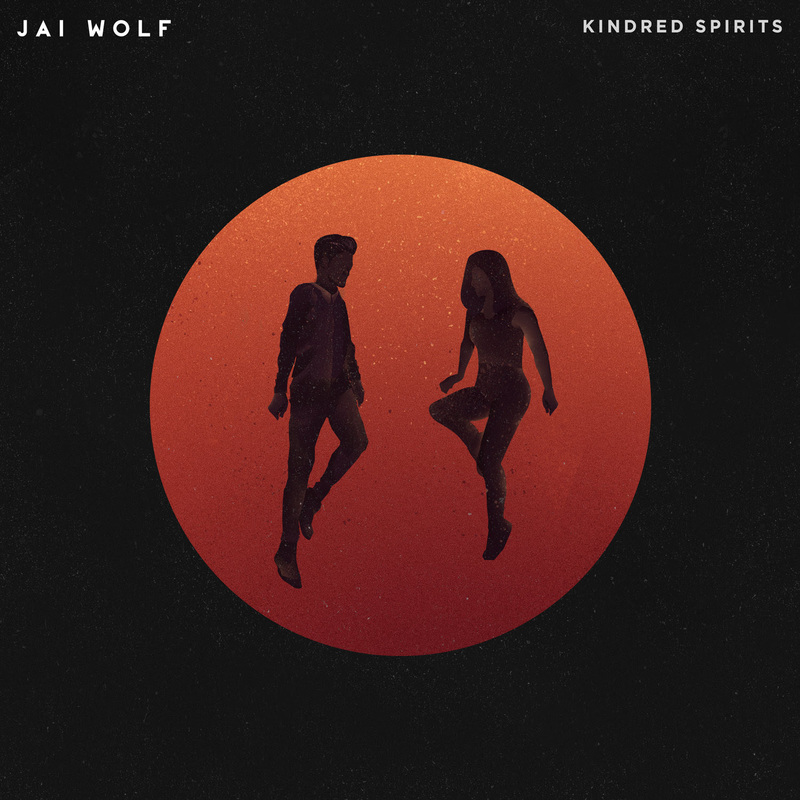 Jai Wolf: It’ll probably be similar, because Kindred Spirits is a good jumping off point to start evolving even further into the sound I want to have. Great! Thanks so much for talking to us and good luck tonight!